Apnea (meaning "without breath") is the term used when someone stops breathing for very short periods of time, usually 10 to 20 seconds. It's termed "obstructive" when respiratory efforts continue, such as movements of the chest. It's termed "central" when all respiratory effort stops. In children, sleep apnea is almost always obstructive. During the apneic episode, the child will have decreased oxygenation of the blood. Obstructive Sleep Apnea (OSA) is defined by sleep abnormalities that consist of complete and partial upper airway obstruction during sleep, a reduction in the amount of air entering the lungs with an abnormally high level of carbon dioxide in the blood, and oxygen loss. Sleep apnea in the general population is very common. Well over 18 million Americans suffer from sleep apnea and it is estimated that there are at least another 10 million that are undiagnosed. Over 2 million children suffer from sleep apnea. The majority of obstructions actually come from the tongue falling back into the throat and serving as the obstruction. The causes of sleep apnea include enlarged tonsils and adenoids and poor tone in the tongue. In general, the main cause is the tongue falling into the back of the throat. The tongue can be a particular problem in children with Down syndrome (DS) that already have enlarged tongues and perhaps anatomical variances from normal. Symptoms of OSA are: snoring, restless/disturbed sleep, frequent partial or total wakenings and daytime mouth breathing. 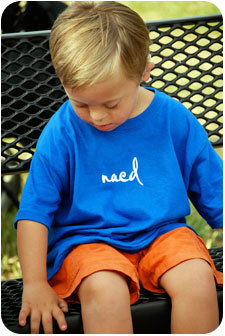 Some children with OSA have odd sleep positions, often with their neck bent backwards, or even in a sitting position. Some children with OSA sweat profusely during sleep. In adults, there is an association of obesity, but that's not a common association in children. Some children will have daytime irritability or sleepiness that is not appropriate to the age of the child, but it's not common. Developmental delays resulting from lack of consistent oxygenation during sleep may occur. Some children may have noisy swallowing as well. As stated above, DS children tend to have poor tone in the muscles of the upper airways which lead to the tongue relaxing back into the airway thus causing an obstruction. Enlarged tonsils and adenoids alone can create an obstruction but when the issue of a flaccid tongue comes into play, then a more-serious obstruction may occur. Children with DS may also have larger than usual soft palates that usually do not create obstructions but tend to cause snoring which is also a problem. When a child sleeps, their brain goes to sleep in different stages. A deep refreshing sleep is cycled in and out throughout the night but can be disturbed by the noise of snoring. This, or any noise, puts the brain in an “on notice” mode therefore inhibiting the ability to achieve refreshing and nourishing sleep. The child appears to sleep well but the brain never actually gets the rest it needs to function at peak performance. The best way to diagnose sleep apnea is a sleep study. Some experts feel that all children with DS would benefit from sleep studies in order to determine if there is a problem. Parents may not notice any snoring and think everything is fine. But at night the child may be obstructing which could lead to the problems mentioned above regarding decreased oxygen, high blood pressure, and the like. These problems, along with problems of irritability, daytime sleepiness, and metabolic disorders, are all concerning. None, all, or some of these issues may be occurring without notice and the best way for detecting them is a sleep study. These studies consist of continuous monitoring of the oxygen in the blood, as well as monitoring chest wall movements (to assess respiratory efforts) and the flow of air through the nose. Some doctors also measure carbon dioxide in the blood or exhaled air. Another type of test is an overnight desaturation test that detects oxygen levels dropping in the blood. These tests are less expensive but usually lead to more in-depth sleep studies. Sleep apnea is treatable and can be quite simple. The treatments are determined depending on sleep study results. Home continuous positive airway pressure (CPAP) is usually the treatment of choice and is tolerated by DS children very well. This is administered by a nasal mask or tube during sleep. The tube/mask administers air with an amount of pressure designed to keep the airway open. There is usually a period of getting used to the treatment but afterwards the child will notice the positive difference and come to want their CPAP. There are a few risks associated with CPAP at home. One notable risk is if the child wears a full face mask for CPAP and vomits into the mask. This could cause them to could aspirate which could lead to pneumonias and possibly other problems. Very seldom is a full face mask given to a home patient. If one should be ordered, precautions would be put in place along with teaching proper administration of the treatment to the parents or caregivers. 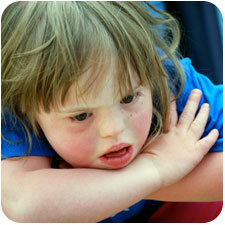 Parents of children with Down syndrome weak to identify signs of sleep apnea, viewed 19 March 2009, http://www.cincinnatichildrens.org/about/news/release/2006/5-down-syndrome-sleep-apnea.htm. Leshin L., MD, FAAP (Copyright 1997-2003), Obstructive Sleep Apnea and DS, viewed 17 March 2009, http://www.ds-health.com/apnea.htm. Riggs, S., 2009, email, 30 March.